1. 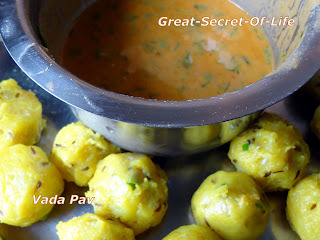 For Vadas, mash the potatoes, now take a deep vessel, heat the vessel with a teaspoon of oil. Add Cumin seeds once the seeds starts crackling; add curry leaves, chopped green chillies and ginger and fry for 1 minute on a low flame. 2. Add mash potatoes, salt, Turmeric powder and mix properly. Cook for few minutes on a low flame. 4. Let the potato mixture cool down, once cool make small size balls. 6. Take Kulipaniyara tawa and add 2 drops of oil lin each spot. 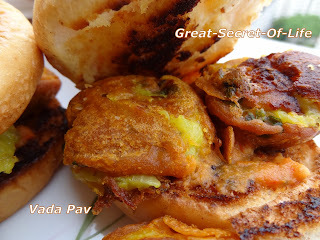 Dip the potato vada (patty) in the batter and coat properly with the batter. And put it in each slot. Make sure it is fully covered with batter. 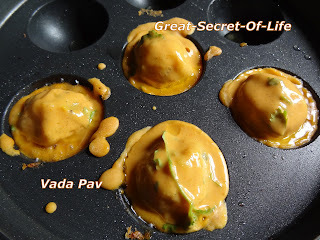 If it is not add more batter to each spot. 8. 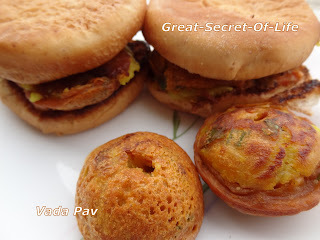 Take the pav (bun breads), make a slit in between. Spread butter, toast it on flat tawa. apply a teaspoon tomato chutney. 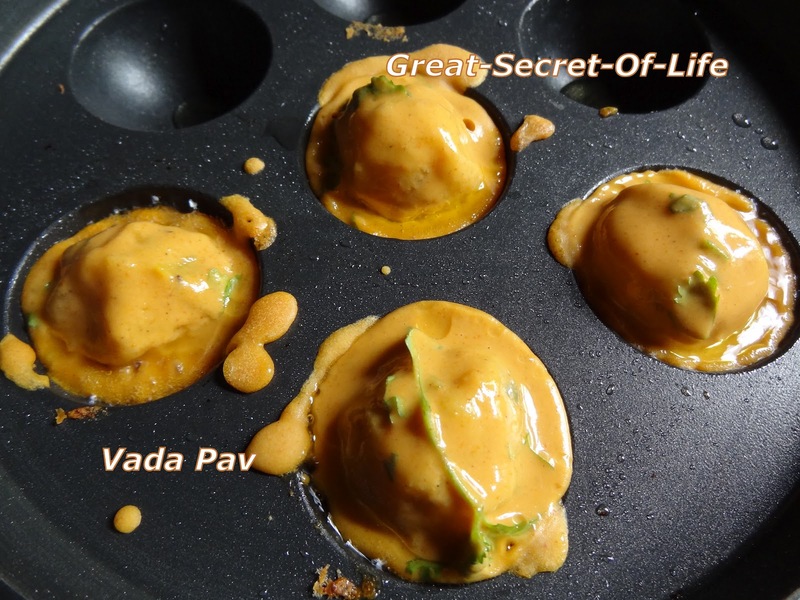 Stuff the vadas in between and serve. If U Dont Mind I Can Say A Suggestion Don't Make Vada In The Appam Chattti And Fry It In Oil (Deep Fry) As I Have Ate The Vada Pav In My Home I Knew That Paav Buns Must Be A Litle Rough So That The Vada Paav Would Be Awesome Love All Your Recipes Keep Posting CHEERS!! !